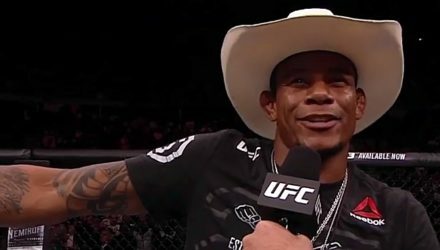 Alex "Cowboy" Oliveira talks with UFC commentator Jimmy Smith following his dominant win over Carlo Pedersoli in Sao Paulo on Saturday. 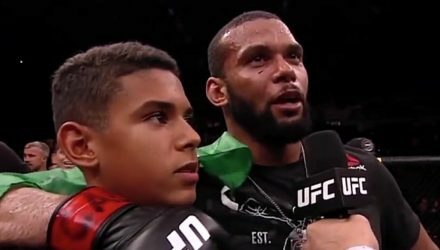 After a huge win at UFC Fight Night 137 over Eryk Anders in Sao Paulo, Thiago Santos chatted with Jimmy Smith inside the Octagon. 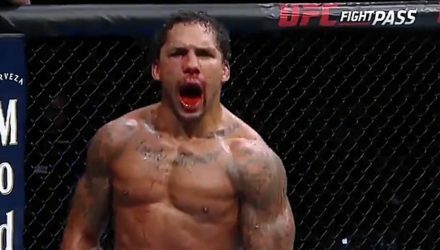 Check out highlights from the UFC Fight Night 137 main event between Eryk Anders and Thiago Santos on Saturday in Sao Paulo, Brazil. 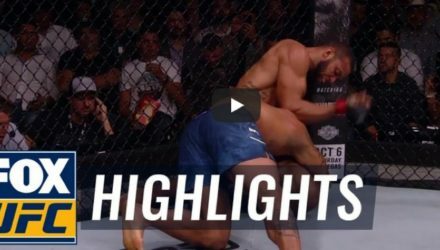 Check out highlights from the welterweight bout between Alex Oliveira and Carlo Pedersoli at UFC Fight Night 137 on Saturday in Sao Paulo, Brazil. 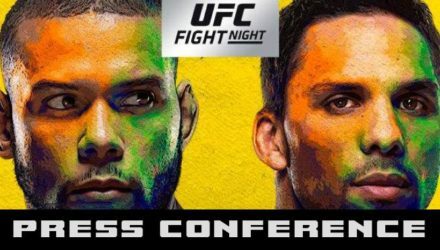 Watch the UFC Fight Night 137: Santos vs. Anders post-fight press conference, which took place following Saturday's event in Sao Paulo, Brazil. 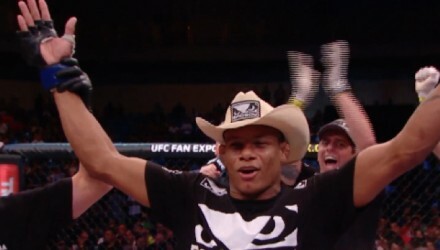 Alex "Cowboy" Oliveira made quick work of Carlo Pedersoli Jr. in the UFC Fight Night 137 co-main event on Saturday in Sao Paulo, Brazil. 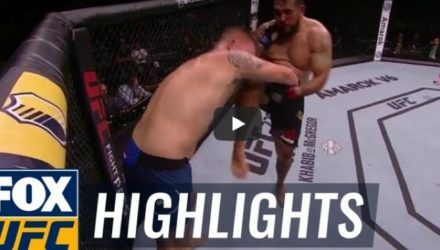 Check out highlights from the lightweight bout between Francisco Trinaldo and Evan Dunham at UFC Fight Night 137 on Saturday in Sao Paulo, Brazil. 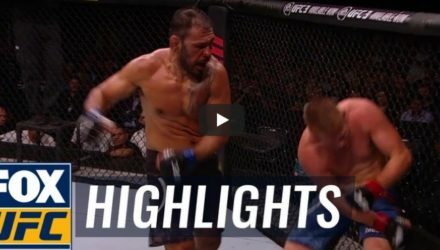 Check out highlights from the heavyweight bout between Augusto Sakai and Chase Sherman at UFC Fight Night 137 on Saturday in Sao Paulo, Brazil. 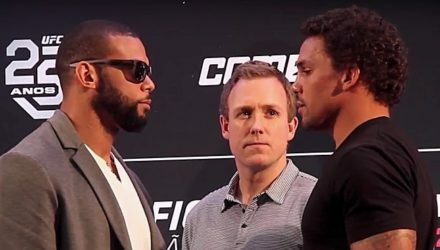 Tune in to MMAWeekly.com following UFC Fight Night 137: Santos vs. Anders for the post-fight press conference in Sao Paulo, Brazil. 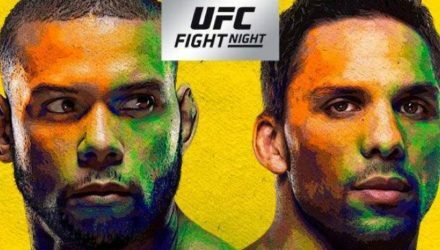 Tune in to MMAWeekly on Saturday, Sept. 22, for full UFC Sao Paulo: Santos vs. Anders Live Results. First bout is slated for 6:30 p.m. 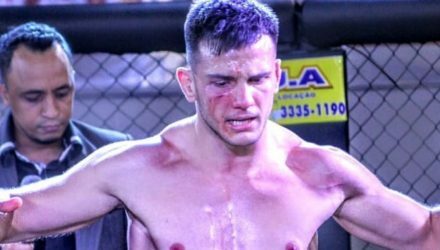 In seven bouts, Luigi Vendramini is undefeated with seven finishes. 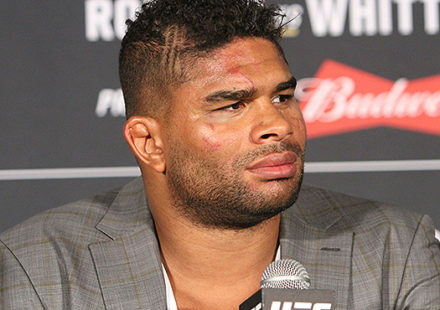 It is with that impressive streak that he’s earned a shot at the UFC. 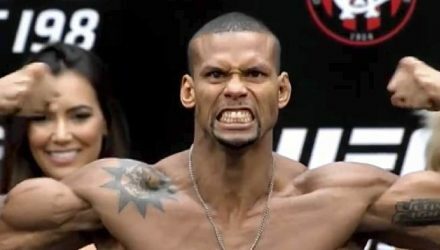 Watch the UFC Fight Night 137 Ceremonial Weigh-in, as the athletes stepped on the scale to make Saturday's bouts in Sao Paulo, Brazil, official. Watch as the UFC Fight Night 137 athletes step on the scale at Friday's ceremonial weigh-in live at 5 p.m. 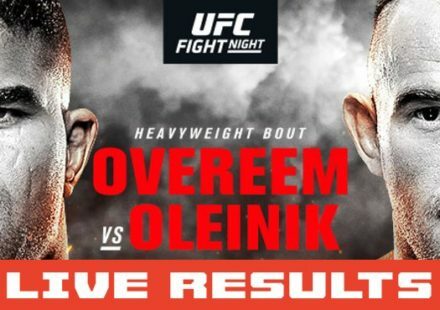 ET / 2 p.m. PT. 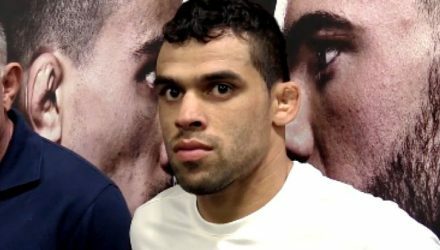 The revamped UFC Sao Paulo headliner got the green light on Friday, but former bantamweight champion Renan Barao was grossly overweight. 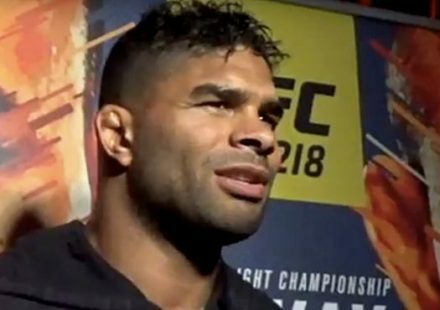 On Thursday, the main card fighters from UFC Fight Night 137 faced off during the event's media day in Sao Paulo, Brazil. 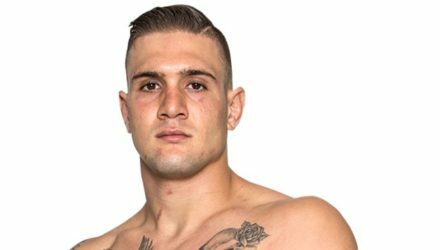 For his first bout back with the promotion, Christos Giagos (15-6) will face Charles Oliveira (23-8) at UFC Fight Night 137 in Sao Paulo. 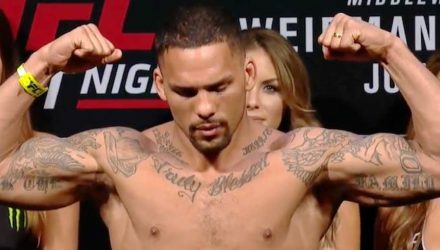 Eryk Anders is stepping into the UFC Sao Paulo main event with just a week's notice... and he's good with that. 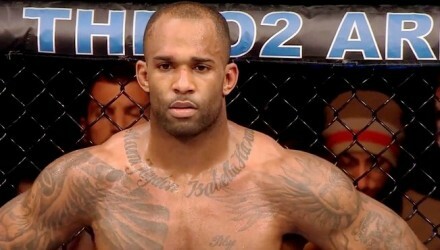 Jimi Manuwa has issued a statement explaining his last-minute withdrawal from Saturday's UFC Fight Night 137 in Sao Paulo, Brazil. 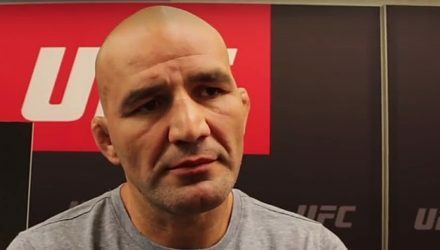 Glover Teixeira has been knocked out of his UFC Fight Night 137 headlining bout less than two weeks after it was announced. 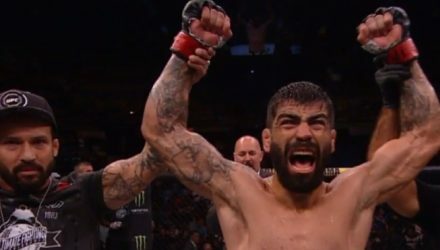 UFC Fight Night 137: Teixeira vs. Santos fight card and event information for September 22, 2018, at the Ginásio do Ibirapuera in São Paulo, Brazil.